Meyn Italy s.r.l. 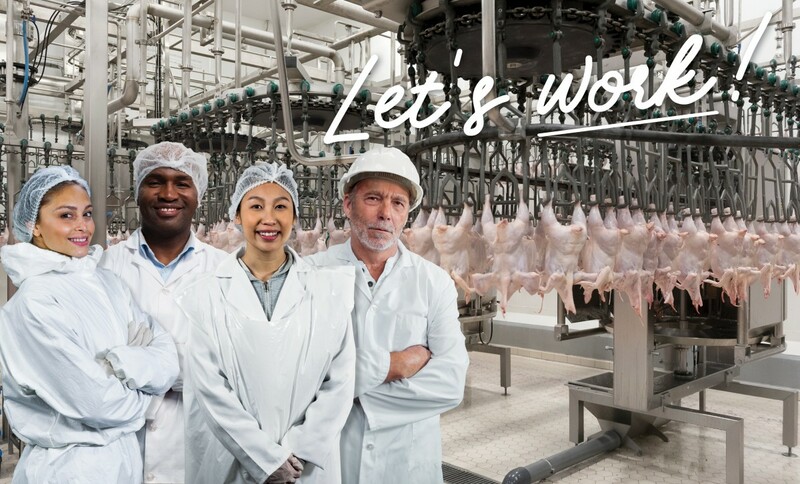 designs, engineers and produces Live Bird Handling Solutions where Animal Welfare is the key ingredient to achieve High Productivity and Top Quality Meat. Meyn Maxiload is an umbrella name that identifies Live Bird Handling Systems designed and Engineering by Meyn Italy s.r.l. They are the connection between the Farms and your Slaughterhouse. At the heart of the system there is the concept of Animal Welfare that gives you High Productivity and Top Quality meat: you just have to add your live birds! Pls contact our commercial team, we will be pleased to give all the details of our new products. Meyn Maxiload STD was the first LBH system designed by Meyn Italy s.r.l. In the module the birds are loaded from the bottom to the top. Once the first level is completed, the operator pulls the empty drawer above, in order to protect the birds underneath and he starts the loading of the next level: in that way, the operator always moves empty drawers. Meyn Maxiload Twin is the new generation of Meyn Maxiload LBH systems. At the heart of the System is a new module that can be loaded at the farm from four positions at the same time. The Live Bird Handling system is characterized by a reduced foot print and very high speeds. Meyn Italy s.r.l. designs, engineers and produces Live Bird Handling Solutions where Animal Welfare is the key ingredient to achieve High Productivity and Top Quality Meat. Meyn Italy s.r.l. is a subsidiary of Meyn Food Processing Technology B.V. with its headquarters in Oostzaan, the Netherlands. Meyn Italy s.r.l. is as diligent as possible in compiling and updating the information on its website. However, Meyn Italy s.r.l. does not guarantee the correctness and completeness of the information provided on its website. Equally, Meyn Italy s.r.l. does not guarantee that this information is up to date. For questions concerning our products, their specifications and their utilization, please contact our sales team.